Andrzej Bartkowiak’s Romeo Must Die is not a great flick, but I still somehow enjoy it if only for a few stylish scenes and the presence of Aaliyah before her tragic and fateful plane crash, which tugs at the heartstrings. 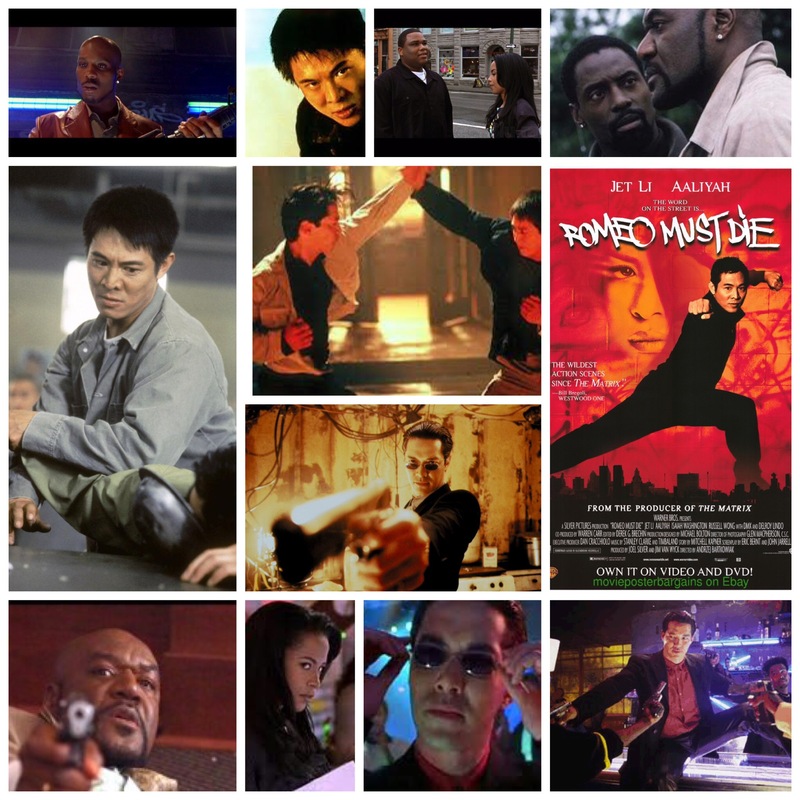 It’s a pseudo Romeo & Juliet tale involving her and Jet Li caught up in Asian/African American gang warfare, but it’s more just a silly showcase for Li’s impressive martial arts prowess and a playground for several well staged shootouts. Bartkowiak is actually responsible for two very similar films of this ilk, Cradle 2 The Grave and Exit Wounds, which all have the same cast members running about and when viewed in succession create some weird holy trinity of kung fu urban crime lore. This one is probably the best I suppose, or at least the most memorable. Aaliyah is reprimanded by her gangster father (Delroy Lindo) and his incompetent lieutenants (Isiaah Washington and Anthony Anderson), while rambunctious Li is supervised by some vague cousin of his (half-asian Russell Wong, definitely the coolest character), and DMX growls out a few lines as a violent club owner also somehow involved. The romance is fleeting, swallowed up by zippy editing and deafening action sequences that come fast and frequent. Li jumps around while the rest of them empty all kinds of firepower all over Vancouver, and so it goes. It ain’t great, but the opener set in DMX’s club during a raid perpetrated by Wong and his crew is the highlight and seems to have been plucked from a far better action film. Previous PostACTOR’S SPOTLIGHT with JAMES MORRISONNext PostBREAKING: Mahershala Ali for TRUE DETECTIVE Season 3.